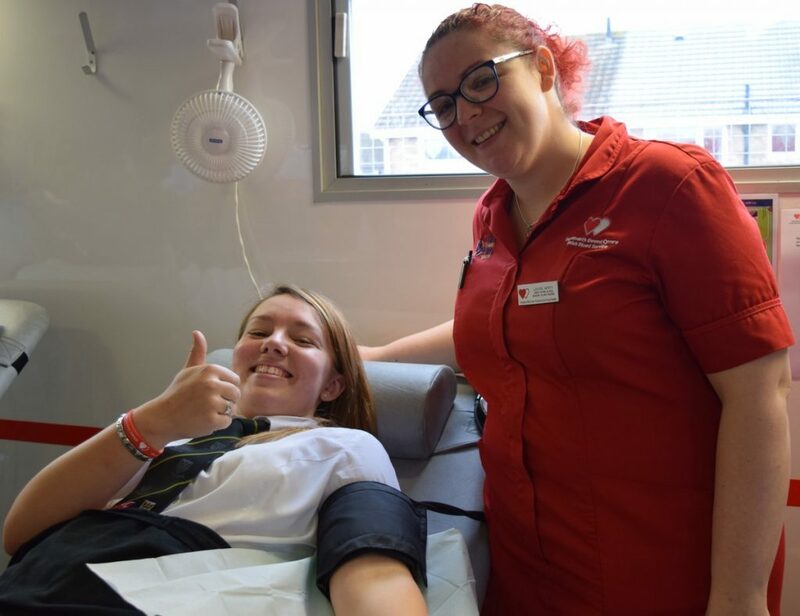 Two comprehensive schools in Bridgend County Borough are being praised by the Welsh Blood Service after more than 100 students took time to give blood this term. 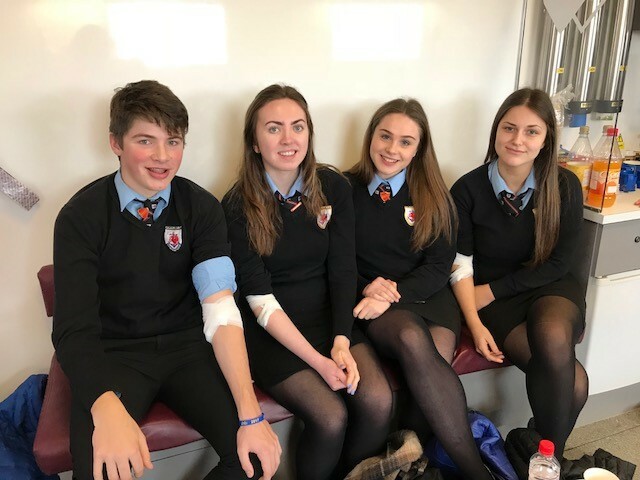 Porthcawl and Bryntirion comprehensive schools are just two of three comprehensive schools from across Wales that have held blood donation sessions for their sixth form students and staff this year, making an outstanding effort towards blood donation. Students, aged 17 or over, and staff from Porthcawl Comprehensive School eagerly booked up all 64 available slots with a total of 54 donations made on their very first blood donation session. Bryntirion Comprehensive School was the latest school to give blood, recording its third session since 2016. There were 46 donations made in total, with 34 students giving blood for the first time. After making his first donation, Kieran, a 17 year old student from Bryntirion Comprehensive School, said: “I was really anxious about donating blood for the first time but it’s turned out to be a surprisingly positive experience. The Welsh Blood Service staff were really supportive and helped put my mind at ease. In order to ensure a steady supply of blood reaches hospitals across Wales, the Welsh Blood Service needs over 100,000 donations, which is equivalent to 450 donations per day. Jonathan Ellis, Head of Donor Engagement at the Welsh Blood Service added: “We would like to thank the students and the members of staff who have selflessly contributed towards the 100,000 units needed in Wales this year. They have shown fantastic commitment and great community spirit. “It’s essential that we pass on how important donating blood is to the younger generation. By having the support of schools in Wales, we can encourage more students to try donating as part of their school day. We hope that the pupils’ actions will encourage more people living in Wales to consider donating in the future. To start your lifesaving journey today, please visit bit.ly/wbs01 or call 0800 252 266.